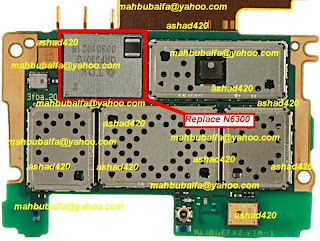 Bluetooth problem on Nokia X3-02 can caused by the Bluetooth module. To repair the Nokia X3-02 mobile phone Bluetooth, you can re-hot or replace the N6300, it is the main driver. The location of that part as shown by the picture below.